Welcome to Community Cats TNR! Community Cats TNR volunteers meet with caregivers, assess the size, ages, health of their cats, provide them with information on how our program works, show them how to safely and successfully trap the cats, and how to care for cats before and after surgery. We schedule the veterinary appointment and help trap the cats the day before surgery. The next day, we transport the cats to and from the clinic. 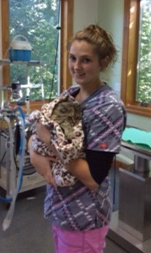 Two local veterinarians make time in their surgery schedules for Community Cats – Country Veterinary Clinic, and Animal Hospital of Ludington. In addition to spay/neuter surgery, the cats receive a general health check, are treated for parasites, given rabies and distemper vaccinations, flea/earmite treatment, pain medication and the left ear is tipped for identification purposes. After surgery, cats are cared for in the traps either by the caregiver, or by one of our volunteers. Males are generally returned and released the next day and females are generally kept for three days. Kittens over four pounds (about 12+ weeks old) can be spayed/neutered. We find that after TNR, the cats are healthier, recover quickly and caregivers are appreciative that they won’t be producing any more kittens. The cats are staying closer to their feeding areas because the males in particular aren’t inclined to roam. Neighbors have reported a huge reduction in spraying and mating noises and behavior. Most of the cats are somewhat trusting of people because caregivers talk to them and sometimes are able to pet them a bit. There are some, however, that are very frightened and will scratch or even bite. We teach caregivers to never trust a frightened cat, always keep them in the trap before and after surgery, and always use the divider when cleaning the trap or replacing food and water. As of mid-January, 2019, we have spayed/neutered 880 cats! That means there will be about 123,000 fewer homeless kittens over the next seven years! 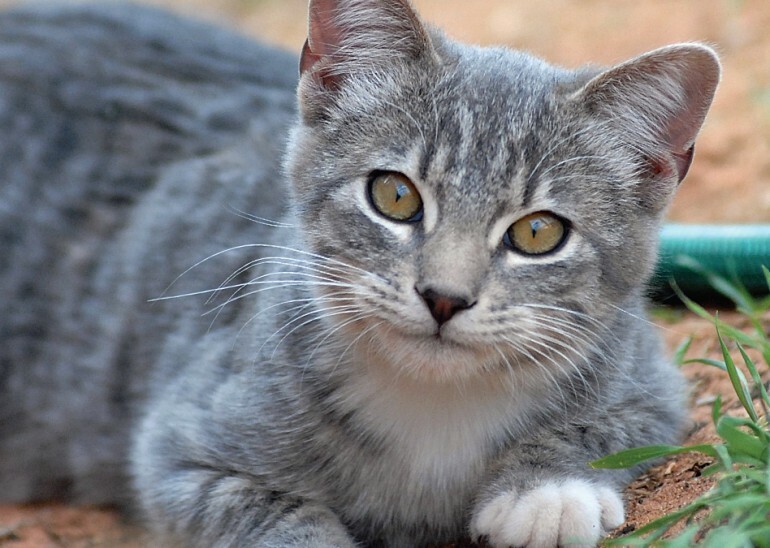 The University of Washington’s Math Department calculated the reproductive potential of one female cat using the scientifically collected data from Dr. Michael Stoskopf’s population studies of feral cat colonies in North Carolina. This calculation seems to assume that there will be only one litter per year for each female. We find that two litters per year are typical and some caregivers have reported three and even four litters per year. Based upon an assumption of two litters per year, we estimate that our count so far has prevented the birth of at least 123,000 kittens over the next seven years. This program is a major commitment on the part of the volunteers of Community Cats TNR. It requires cooperation from all segments of the community, financial and volunteer support from residents and businesses and a commitment on the part of pet owners to get their cats spayed and neutered so that they don’t contribute to the problem. 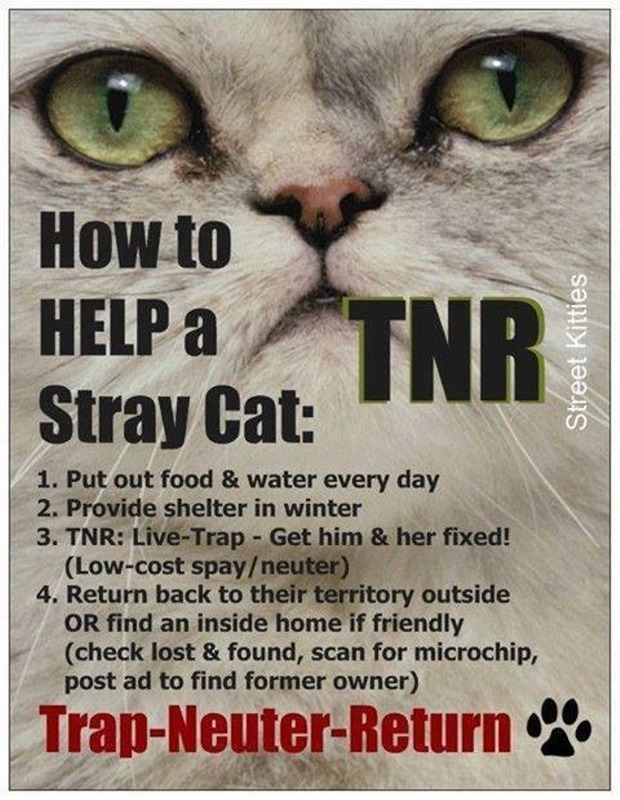 There are TNR success stories in communities all over the country – ours also can continue to be a success story! Thank you from the Community Cats TNR Board of Directors – As the Community Cats TNR program begins its seventh year, we wish to thank all who have made donations, helped with and contributed to fundraisers, dropped loose change and bills in to canisters and the participating businesses that welcomed the canisters, to Shop N Save and all who have dropped off canned and dry cat food in the container, and individuals who have donated building materials and built winter cat shelters. We encourage you to visit the following websites for information about cats in general and successful management and care of stray cats. The Neighborhood Cats TNR Handbook is very comprehensive and is a valuable resource. Other resources we utilize include the “Colony Care Guide” and “How to Live with Cats in your Neighborhood” provided by Alley Cat Allies and information on how to build (or purchase) winter cat shelters provided by Neighborhood Cats. Thanks to our local vet clinics for all their help!